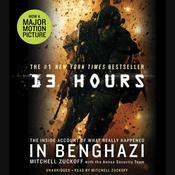 The New York Times bestselling author of 13 Hours and Lost in Shangri-La delivers his most compelling and vital work yet—a spellbinding, heartbreaking, and ultimately uplifting narrative, years in the making, that weaves together myriad stories to create the definitive portrait of 9/11. 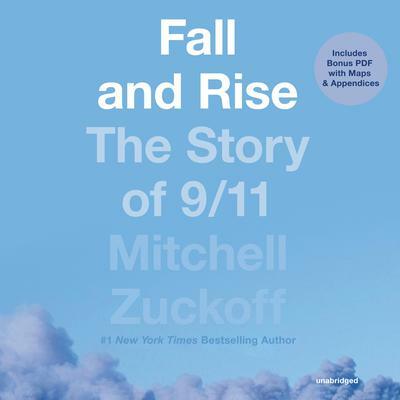 In the days after the September 11, 2001, terrorist attack, then-Boston Globe journalist Mitchell Zuckoff led a team that reported and wrote the lead news stories and a series of pieces about 9/11 victims and their families. It was the beginning of an obsession with that momentous day, and a commitment to tell its complete true story. 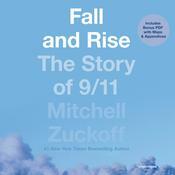 Fall and Rise is a 9/11 book like no other. Based on years of meticulous reporting, it gives voice as never before to both the lost and the saved. Zuckoff masterfully braids the stories of what happened in New York, Washington, D.C., and Shanksville, Pennsylvania, into a mesmerizing account that details the minute-by-minute experiences of those whose lives were forever altered by that day. 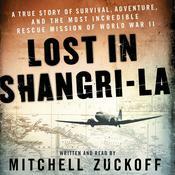 Zuckoff puts us in the center of events with numerous men and women caught up in the terrible attacks—beside a young, out-of-work actor stuck in an elevator in the North Tower of the World Trade Center; among the heroes aboard United Airlines Flight 93; inside the badly damaged Pentagon with a veteran trapped in the inferno; accompanying the first firefighters on the scene in rural Shanksville; in the company of workers at offices in the World Trade Center; among a team of New York firefighters racing against time to save an injured woman and themselves; and alongside families flying to see loved ones across the country who suddenly face terrorists bent on murder. Fall and Rise opens new avenues of understanding for anyone who thinks they know the story of that tragic day, and illuminates as never before the extraordinary ordinary people from all walks of life caught up in tragic circumstances they could neither understand nor control. Destined to become a classic, Fall and Rise is a tribute to the dead and the living, and a testament to the power of the human spirit to triumph even in the darkest hour. Mitchell Zuckoff is a professor of journalism at Boston University. Previously, he was a reporter and writing coach for the Boston Globe, where he was a finalist for a Pulitzer Prize in investigative reporting. He has won the Distinguished Writing Award from the American Society of Newspaper Editors, the Livingston Award, and the Heywood Broun Award, among other national honors. He received a master’s degree from the University of Missouri and was a Batten Fellow at the University of Virginia. He lives outside Boston.